Microsoft has begun rolling out its big Anniversary Update for smartphones running Windows 10 Mobile. Users who want to get their hands on it will be able to do so through their phone, according to a blog post update by Microsoft on Tuesday. To check for the update, users should open up the Settings app, then navigate through Update & Security > Phone update > Check for update. After that, the phone should download the update and install it. However, Microsoft notes that actually getting the update is dependent on a variety of factors, including "manufacturer, model, country or region, mobile operator or service provider, hardware limitations and other factors." Once installed, the update should give users access to new features like improvements to Cortana, Microsoft's virtual assistant. The quick roll-out of the Anniversary Update (for those smartphones that are able to get Windows 10 Mobile) is a positive sign for Microsoft's ongoing interest in the mobile operating system. It has scaled back its own smartphone ambitions, starting a series of thousands of job cuts in the phone hardware business that it acquired from Nokia. Microsoft is still making Windows smartphones, and has hardware partners lined up to build hardware as well. 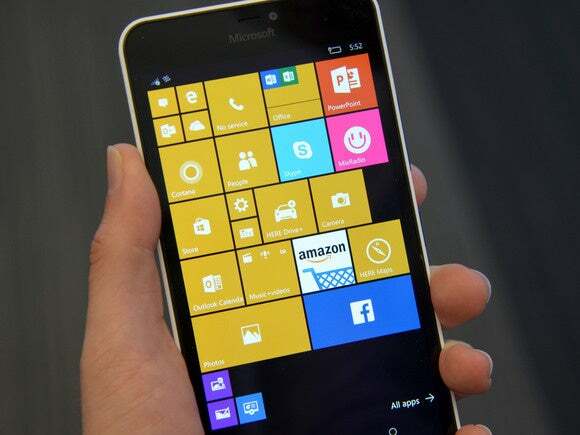 The initial roll-out of Windows 10 Mobile took months to begin after the launch of Windows 10 last year. This news comes just two weeks after Microsoft rolled out the Anniversary Update for Windows 10 PCs and tablets. This update is the one major feature release Microsoft is putting out for Windows 10 in 2016. The company plans to release two more major updates next year.